Cromwell provided his agents with eighty-six questions. This included: "Whether the divine service was kept up, day and night, in the right hours? 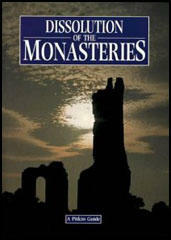 "; "Whether they (monks) kept company with women, within or without the monastery? "; "Whether they had any boys lying by them? ; "Whether any of the brethren were incorrigible?" "Whether you do wear your religious habit continually, and never leave it off but when you go to bed?" Woburn Abbey was not closed down but Robert Hobbes was believed to have grown increasingly hostile to the policies of Henry VIII. In the winter of 1537 Thomas Cromwell sent out his commissioners to discover the loyalty of the people who were running the remaining monasteries. The commissioners relied heavily on information from local people. William Sherburne, a former friar, accused Robert Hobbes,of being a supporter of the rebels. Hobbes was interviewed and he refused to recant: "Hobbes held firm, although in some places it is difficult to establish an exact meaning from the long and rambling depositions of a man physically ill from strangury, and to disentangle apologies for bluntness of speech from repentance on points of principle. It is certain, however, that to the very end he remained opposed to the suppression of the monasteries, the distribution of ‘wretched heretic books’ by Cromwell, and the royal divorce, all sufficient to make his conviction a formality. Indeed, he confessed his offences and offered no defence." In 1534 Hobbes acknowledged the royal supremacy and persuaded the more reluctant members of his abbey to do likewise. Soon, however, influenced by the martyrdom of the London Carthusians and by the suppression of the lesser monasteries in 1536, Hobbes significantly altered his position. He may also have been encouraged by the appointment of James Prestwich, a staunch conservative in religion, to be schoolmaster to the small group of royal wards then boarding in the abbey. Although several monks sympathized with Hobbes's stance, notably the sub-prior, Ralph Barnes, and the sexton, Laurence Blunham, others were opposed to his views, and in the spring of 1538 he was reported to Cromwell by William Sherburne, curate of the parish chapel and a former friar with whom Hobbes had had various disagreements. Cromwell acted quickly, dispatching William Petre and John Williams in May to take depositions, and on 14 June Hobbes, the sub-prior, and the sexton were tried at Woburn. Barnes and Blunham recanted but it appears that Hobbes held firm, although in some places it is difficult to establish an exact meaning from the long and rambling depositions of a man physically ill from strangury, and to disentangle apologies for bluntness of speech from repentance on points of principle. It is certain, however, that to the very end he remained opposed to the suppression of the monasteries, the distribution of ‘wretched heretic books’ by Cromwell, and the royal divorce, all sufficient to make his conviction a formality. Indeed, he confessed his offences and offered no defence. Along with his two colleagues Hobbes was shortly afterwards hanged, drawn, and quartered and the abbey confiscated by attainder. According to local tradition an oak tree in the abbey grounds served as the gallows.